Chris Hull was the toast of Cobh last night after firing Ramblers into the EA Sports Cup final. Hull struck for the winner with 15 minutes remaining at St Colman's Park after being put through by Stephen Christopher's wonderful through-ball. 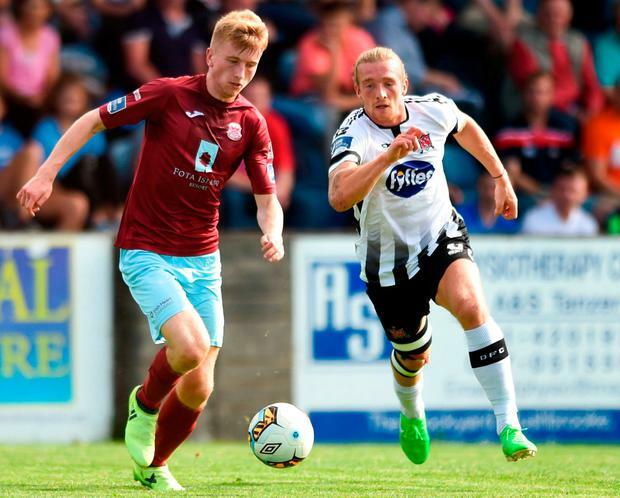 Dundalk made nine changes to the team that started their Europa League defeat by AEK Larnaca in Cyprus last Thursday, with Dylan Connolly and Daniel Cleary the only two survivors as Stephen Kenny rested plenty of his regulars. Cobh began full of intent and Dundalk goalkeeper Gabriel Sava made a good save to keep out Christopher's curling effort early on. 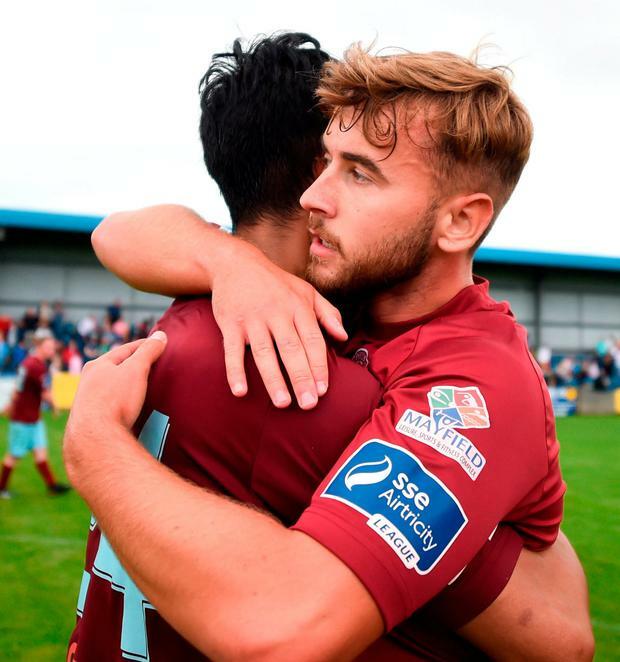 Disciplined without the ball and purposeful on it, Ramblers went close once more when Shane O'Connor played a beautiful ball through for Denzil Fernandes. 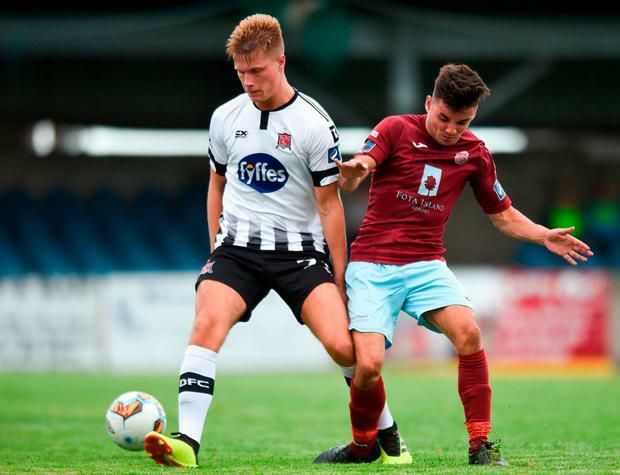 With Connolly starting to cause problems out wide for the Cobh defence, Dundalk went close to taking the lead in the 28th minute, when Stephen Folan headed the ball just wide from a John Mountney free-kick. Cobh, however, stuck to their task and Hull sparked wild scenes of celebration among the Ramblers faithful when he scored, sparking memories of the club's four-match 1983 FAI Cup semi-final epic against Sligo Rovers. COBH RAMBLERS - A Mylod; I Mylod, McSweeney, O'Riordan, Taylor; O'Connor, Walker, Christopher, Hurley (Donnellan 88), Fernandes; Hull (Leonard 88). DUNDALK - Sava; Poynton, Cleary, Folan, Massey; Mountney, Chvedukas (O'Keefe 78), Connolly; Murray, Fitzsimons (Jarvis 46), Byrne (McGrath 65). Ref - S Grant (Wexford).